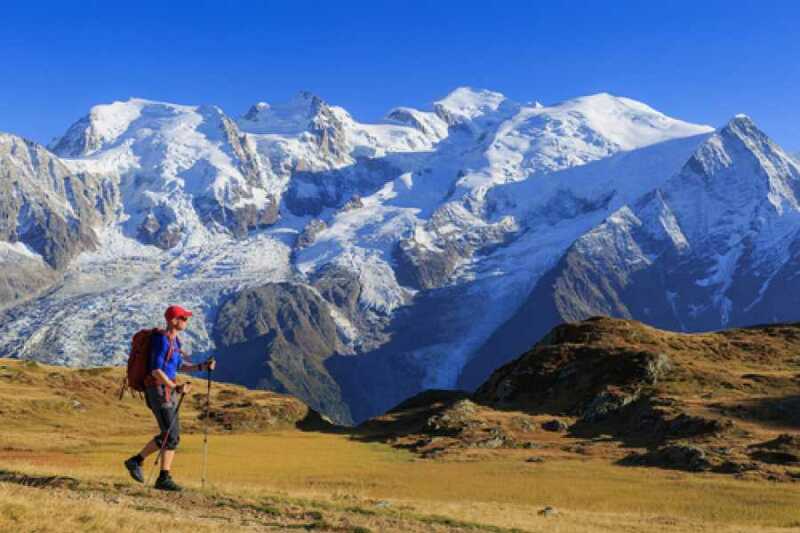 Experience Chamonix Mont-Blanc on this incredible day trip. 2 Departures per day (choose between either 08:15 or 09:15). Door to door collection from your Hotel in Geneva - SMS sent the day before travel with your precise pickup time based on your location. Travel to the Chamonix Valley. Audio Commentary in English, French, German, Spanish, Arabic and Japanese. 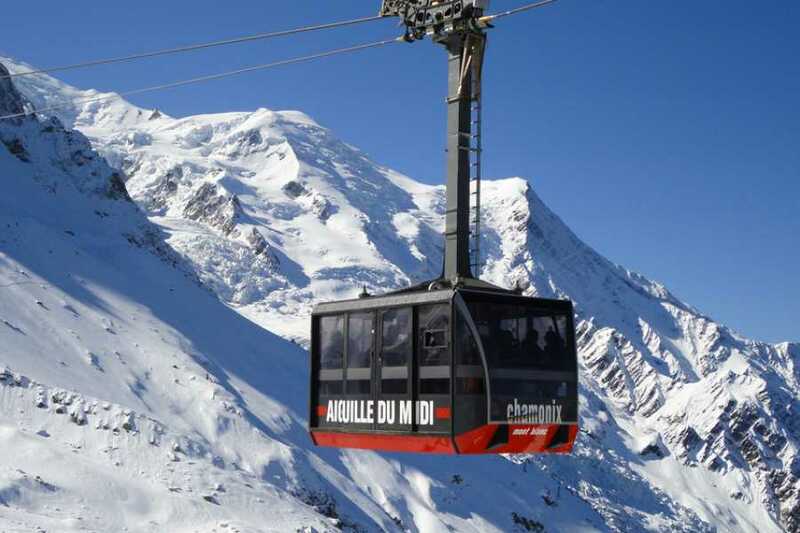 You will be taken to the Aiguille du Midi Cable Car which goes to the top of Mont-Blanc and it amazing viewing platforms. 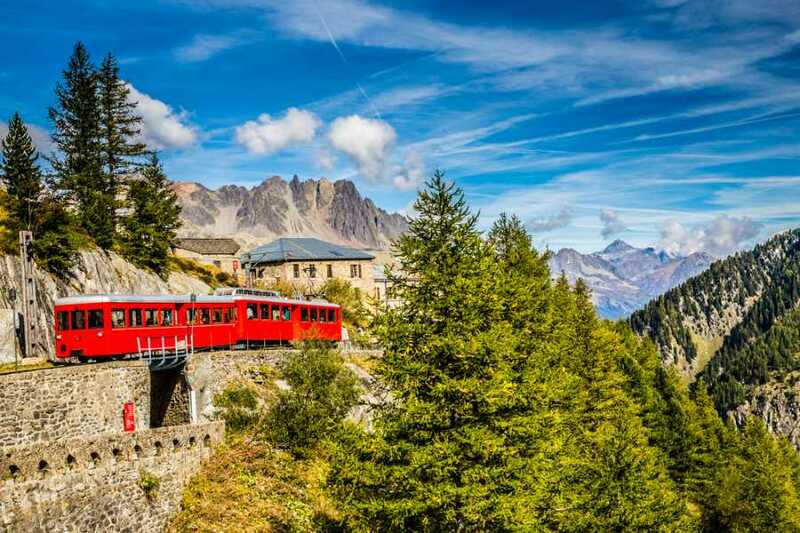 Take the Montenvers Railway up through the valley to reach the Mer du Glace Glacier. Decent into the Ice Caves to explore the grotto. 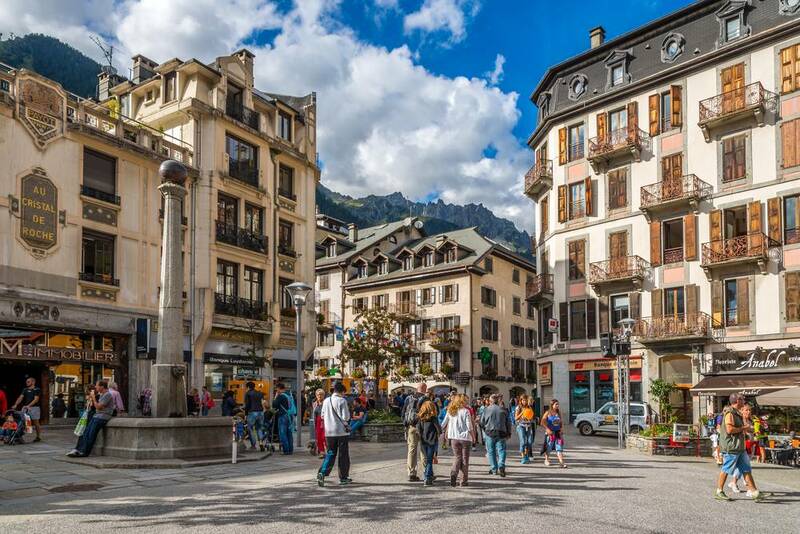 Free time to explore Chamonix town. Travel Back to Geneva at 17:15 or 18.15. Door to door transport from Geneva to Chamonix and return using executive minibus with air conditioning. 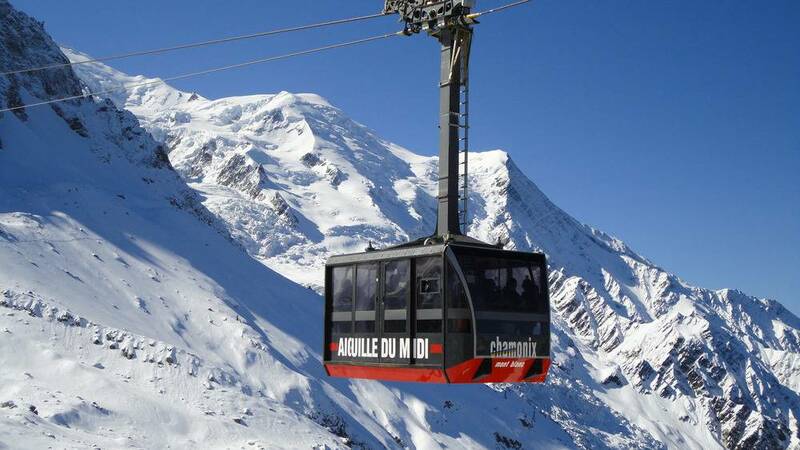 Entrance tickets for the Aiguille du Midi cable car & the Montenvers railway, to avoid the ticket ques. Lunch at top Chamonix restaurant the Caphorn. 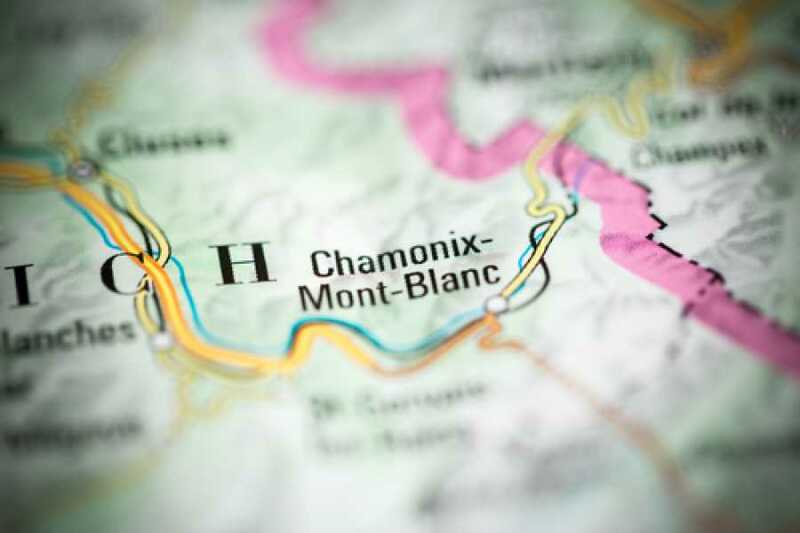 On this day trip, discover the incredible, dramatic and world famous mountain resort of Chamonix-Mont-Blanc. 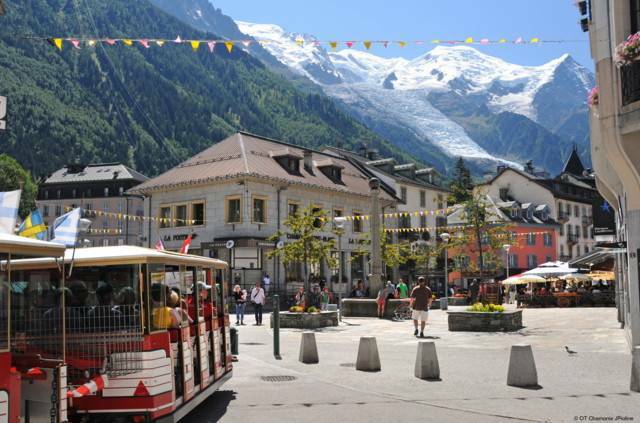 Towering peaks, majestic glaciers, and the picturesque alpine town of Chamonix. Travel in executive mini-bus with air conditioning and audio commentary in 6 languages. This once in a lifetime trip to Mont-Blanc, the highest mountain in the Alps at 4,810 meters, is in on everyone’s wish list. 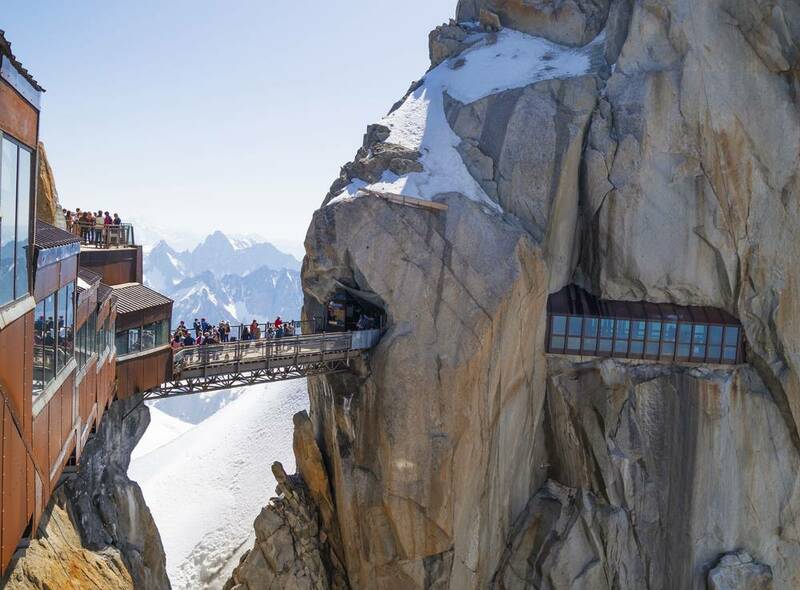 At 3842 m the Aiguille du Midi in Chamonix offers a 360-degree viewpoint over the French, Swiss and Italian Alps and is the highest point accessible by cable-car in Europe. 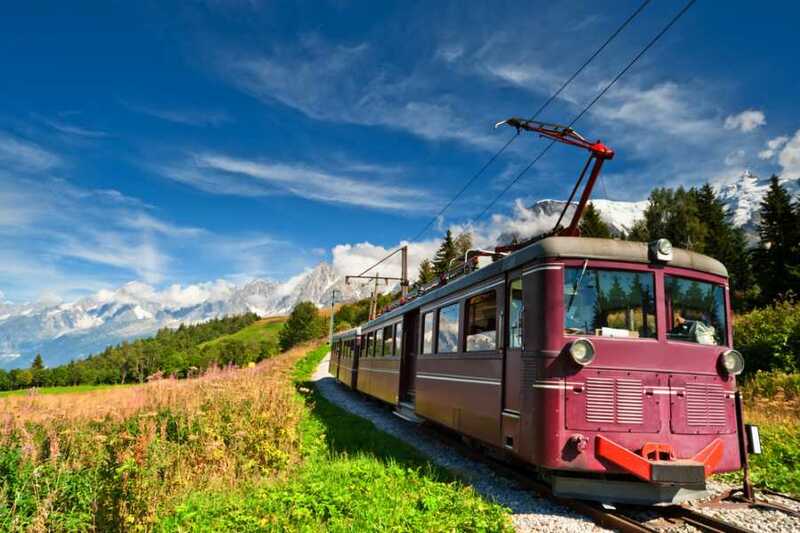 Take the thrilling ride up the two cable cars to the peak. 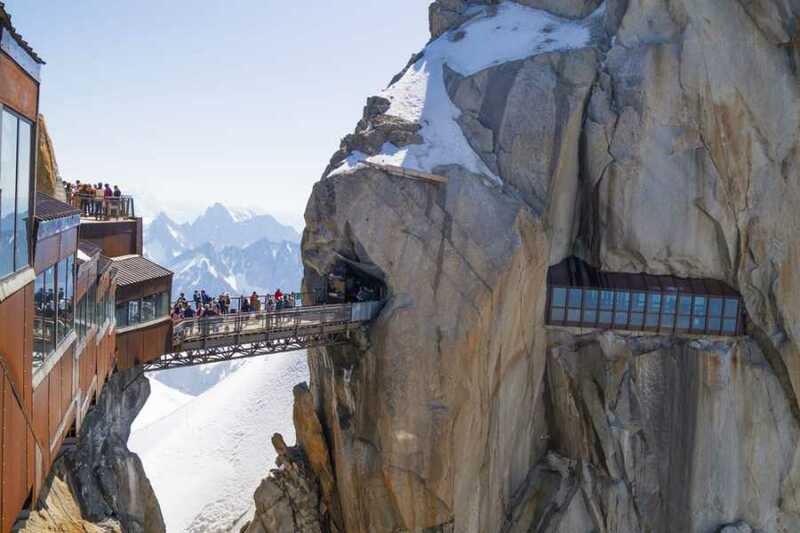 At the summit, there are a number of viewing terraces, a cafeteria and a souvenir shop as well as interesting historic reaccount of the numours climbers of the mountains and interting facts. 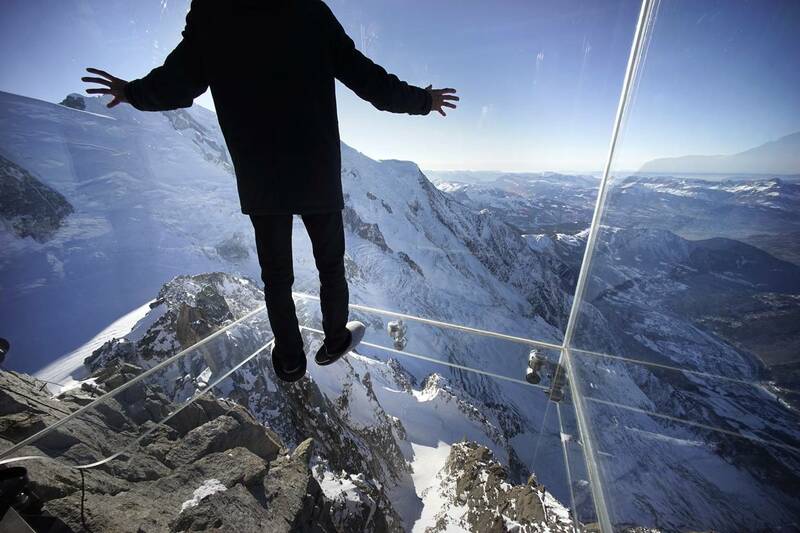 If you are feeling brave enough why not try the 'Step Into the Void' a glass room suspended on the higest terrace with a 1000 meters of free air underneath. Remember to bring warm clothes, sun cream and a camera! 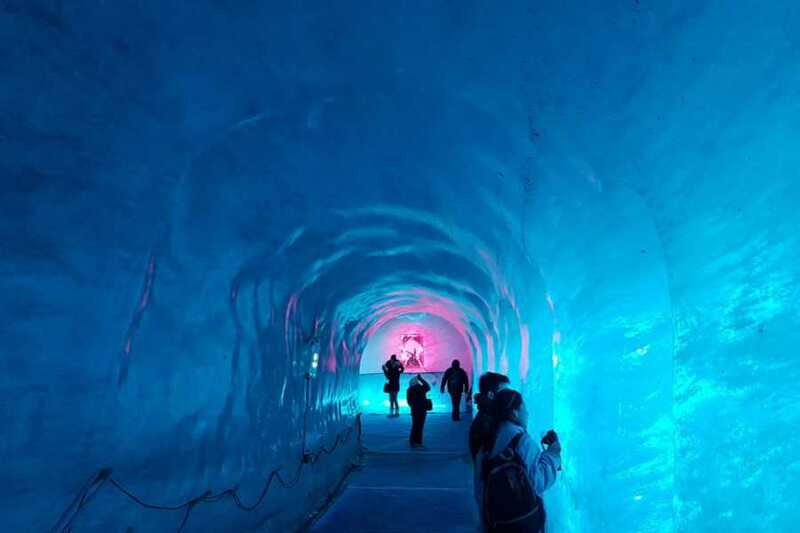 glacier (7km long and 200m deep). The Mer De Glace translates as the ‘Sea of Ice’ and is one of the most stunning views in the Alps. 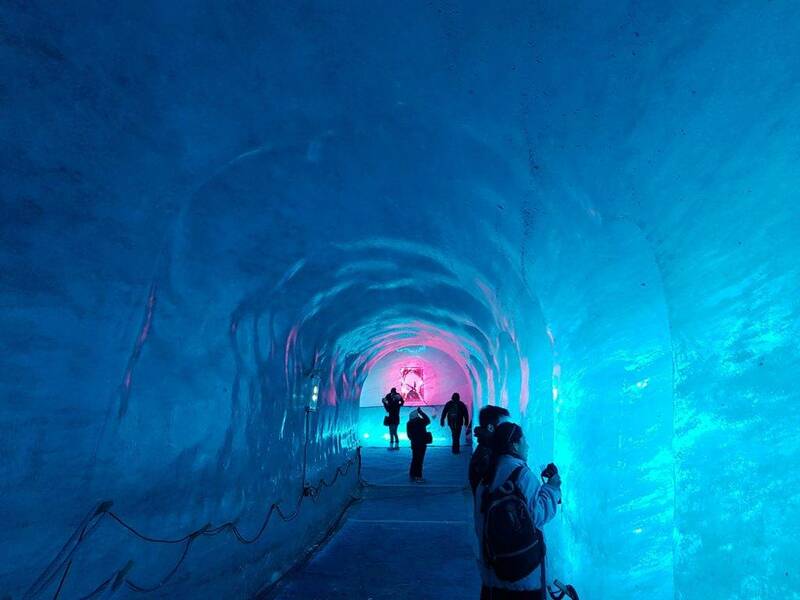 Visitors can also descend into the Ice cave via a small cable car. 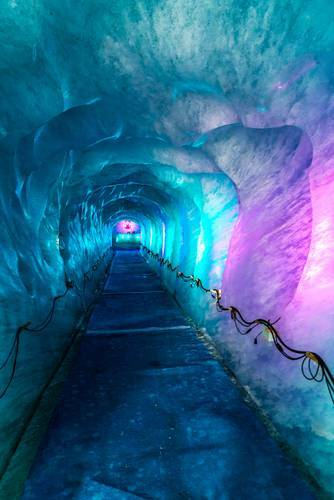 Here you can view the grotto with increadible ice sculptures that is carved into the glacier. 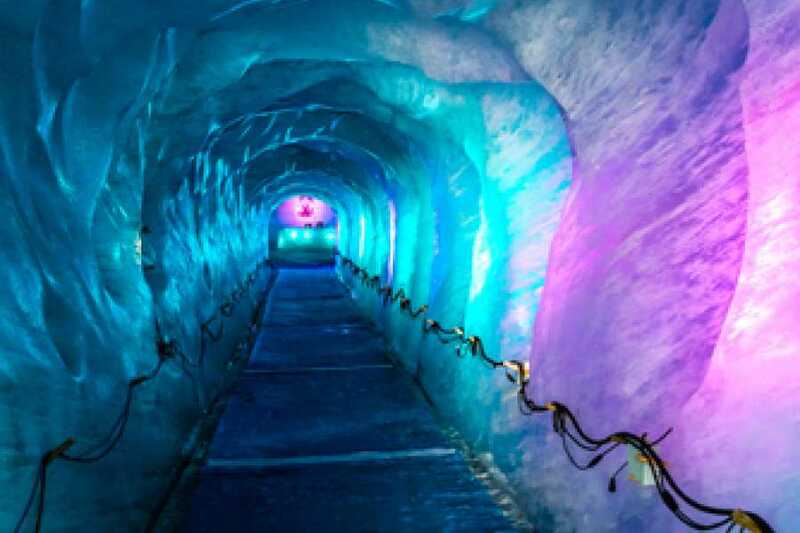 To reach the ice grotto visitors must beware there are 430 steps to take to reach them! 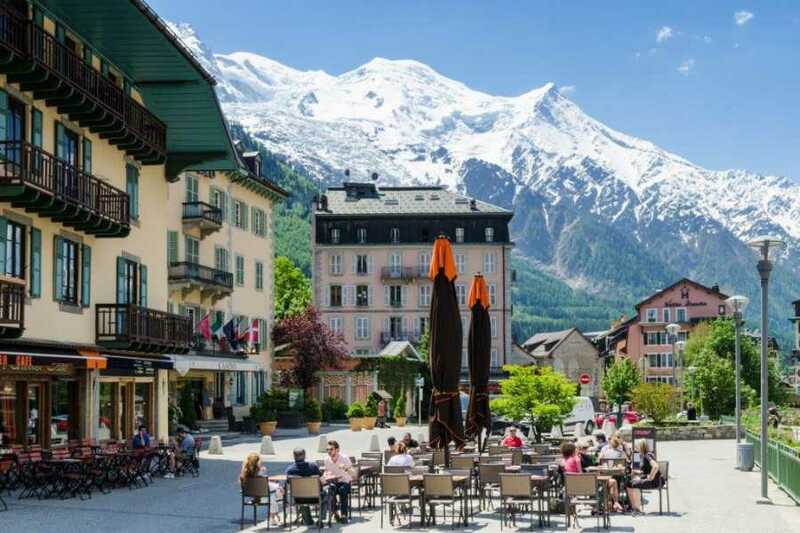 At the foot of Mont Blanc (4808m), the highest mountain in western Europe, Chamonix’s alpine town atmosphere and spectacular scenery attract people from all over the globe. This picturesque year - round village offers a great range of attractions, shops, bars and restaurants. 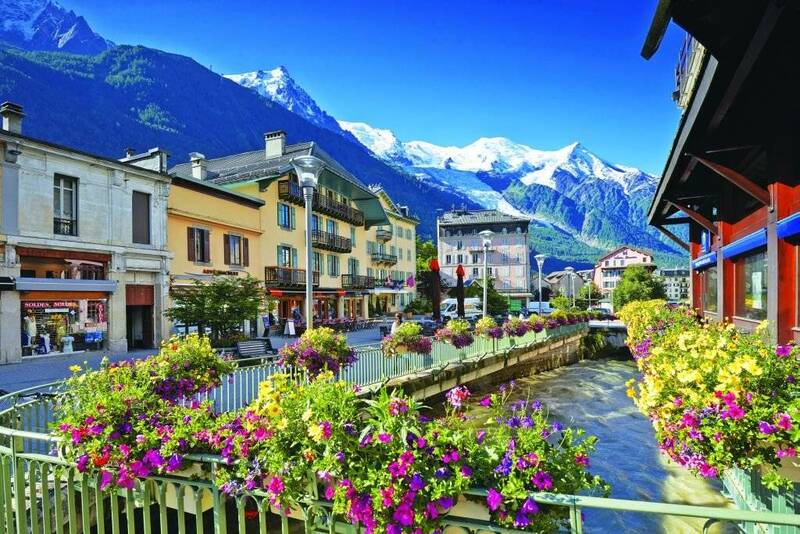 Chamonix will leave a lasting impression.